So let's keep going with the Fallen series. 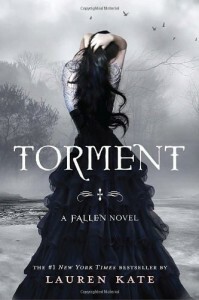 Torment I liked better than Fallen, because we met a lot more about this fallen angels world, and we met more about Luce... her feelings, thoughts, personality. We even find out that she has an important part in all this war that is happening. The only thing that annoys me is the fact that nothing is revealed, never... never. But despite the frustration of knowing that there is something important and nothing is revealed, I enjoyed the story. The characters were entertaining, Miles and Shelby helped keep the story interesting. In particular the way that Miles began to fall in love with Luce, and like her to be vulnerable by the "abandonment" and secrets of Daniel opened the door for something to happen between them. I also liked how Luce started to control the shadows, that she learned what they really were and how she found out things about her past lives and met people from that lives. That really kept me reading because kept things interesting, and finding out those secrets helped to build the story behind their relationship. I just wished Daniel could have been part of that, helped her as a couple to know more about their past. And the end! The battle in Luce's backyard... how she travelled through the shadow, to where? Is time to find out... 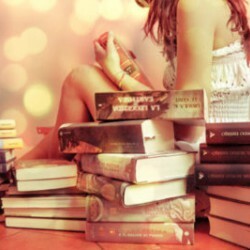 So I'll keep reading the series. What did you think about this sequel? Are you excited about the movie?